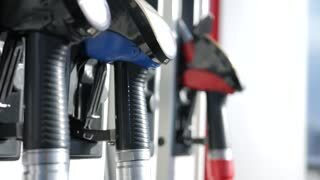 Gasoline or petrol station gas fuel pump nozzle. Filling station. 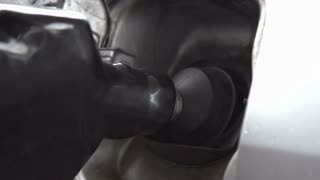 Close-up of a men hand using a fuel nozzles at a gas station. 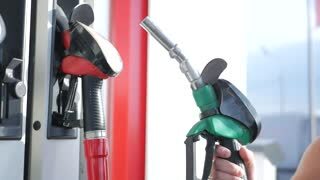 Filling car with gas fuel at station pump. 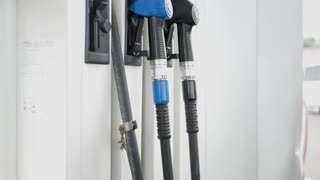 Close up of petroleum gasoline station service - oil refueling and refilling for car transportation concept. 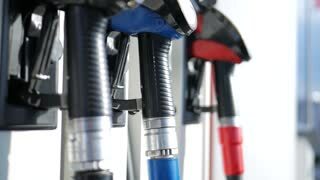 Gas station, Fuel pump, Petrol pump filling nozzles. 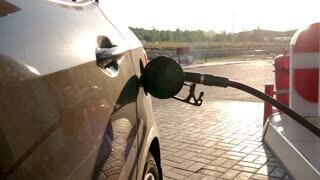 Fueling up thirsty car close up 4K. 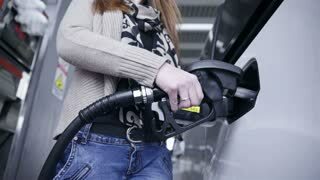 Female person in trousers and sweater holding gas pump handle waiting to fill up car tank. 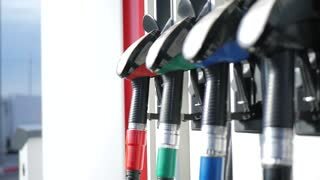 Choosing right gasoline at gas pump 4K. 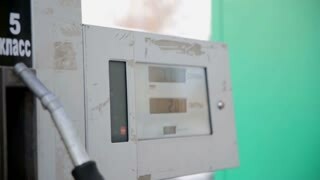 Person looking at correct gasoline pipe for fueling car tank. 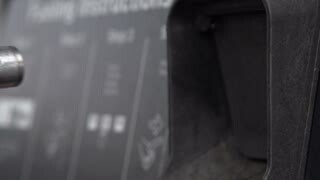 Choosing diesel.